You Shoulda Been Here Yesterday or WTH Happened ? 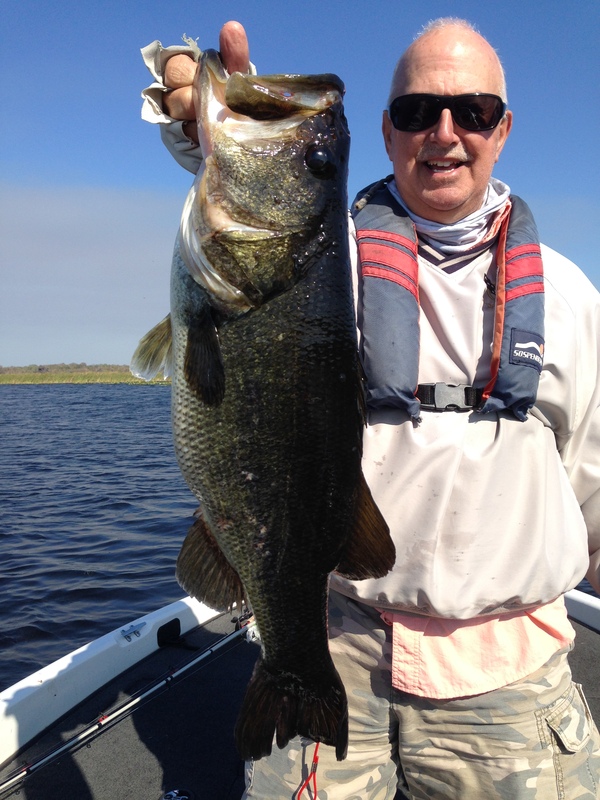 Stan Lippian & I went to Lake Griffin on Thursday with the idea of “it’d be nice to get bit”…. We weren’t out pre-fishing or anything but just wanted to wet a line. 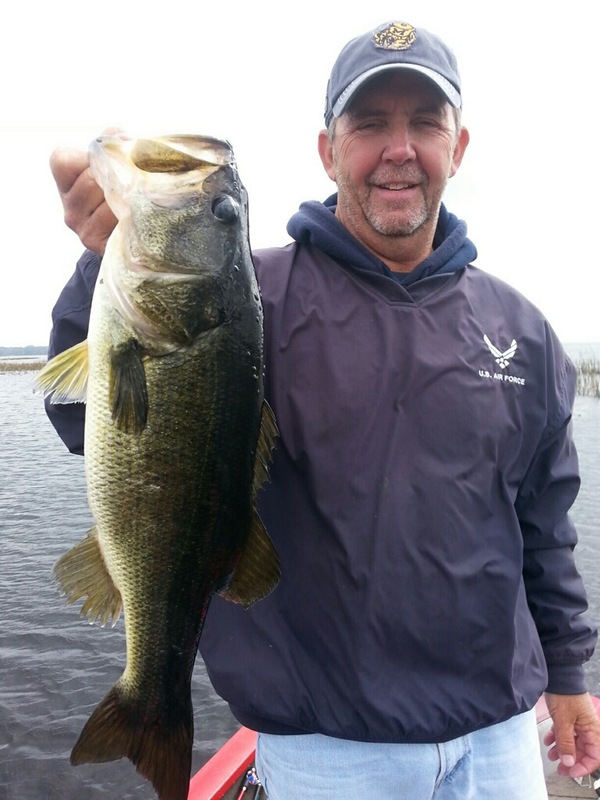 We both bass fish much alike & have competed in hundreds of tournaments over the years. Stan’s won many…. I’m still donating entry fees…. Anyway we started around 0800 at the north end of Griffin pitchin creature baits & worms…. Results were less than spectacular size wise but at least we got our strings stretched catching 8 keepers…. After 3 hours we changed location & headed to a shallow flat that had plenty of vegetation for these over grown bluegil family fish to hide. Stan started throwing a worm & I grabbed my spinning rod with a fluke. 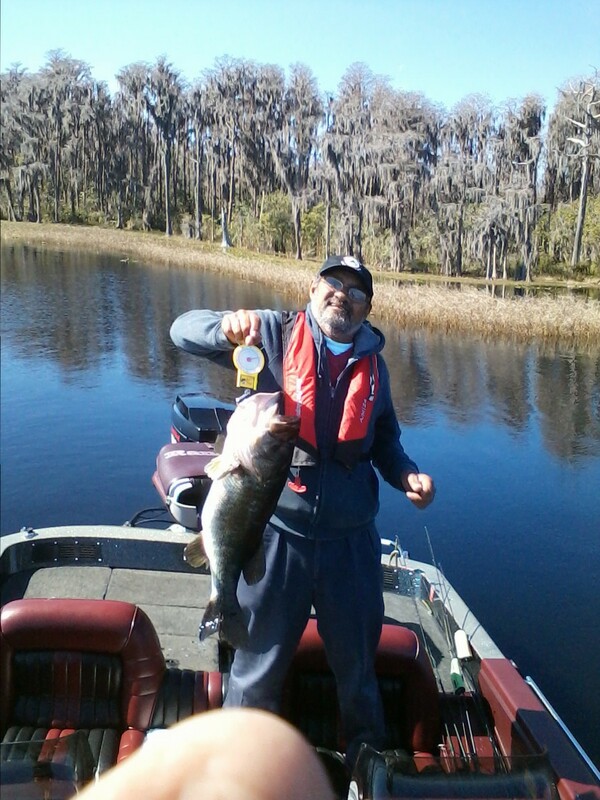 Stan hooks up with a typical 1.5 lb bass similar to what we’d caught earlier….then shortly there after he sticks a hog, hawg, pig, giant whatever you want to call it. Of course I’ve got the net buried….I mean we’re not fishing a tournament why bother?!?!? Then I saw the fish….as it danced wildly on her tail then came at the boat Stan said “GET IT”!!!! I scooped the net down low under the fish & said “She came off”. All he knew was his line went limp…. nothing worse than having limp line….hmmm…. moving right along…. you shoulda seen his face because seconds later I raised the net with his fish. Weight 6.32 Yeah Baby…. We had a great bite between 1330 & 1500….wind gusts were as high as 21 mph – did I mention I love my Power Pole ?? 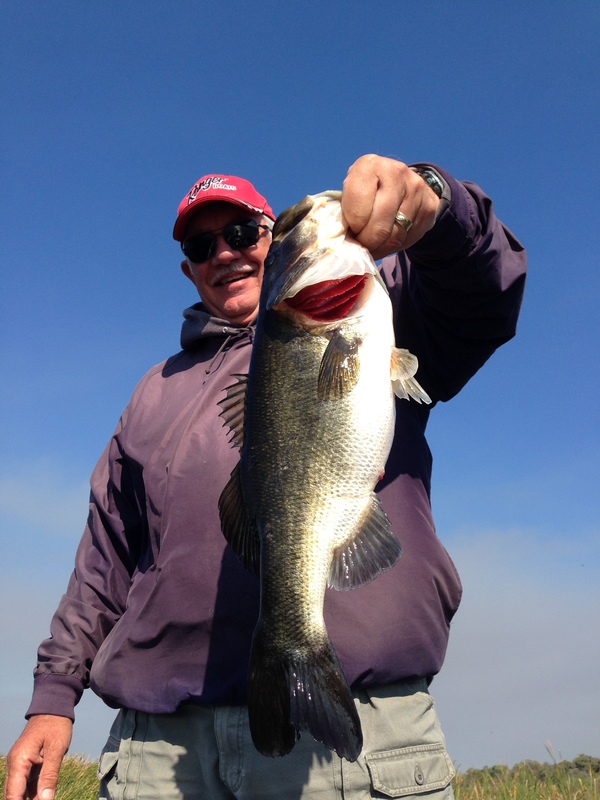 water temps were 63 & change…. total keeper fish caught for the day…. Stan 12…. me…. hell I don’t remember what I ate for breakfast but I’d guess 10. Got a call from a friend Rex Patton from Jacksonville telling me he’s got a tournament this weekend 2/14 & 2/15 on the Harris Chain with IBEW Local 177. Well gang ya mighta wanna came earlier. Sunday at Rex’s weigh-in I took some pictures of some dejected anglers that for the most part didn’t turn out…. sorry Kelly Moody I wasn’t able to show your point four five…. yes 0.45 ounce fish that was eligible to split the $100 small fish pot. Kelly tied with another angler. 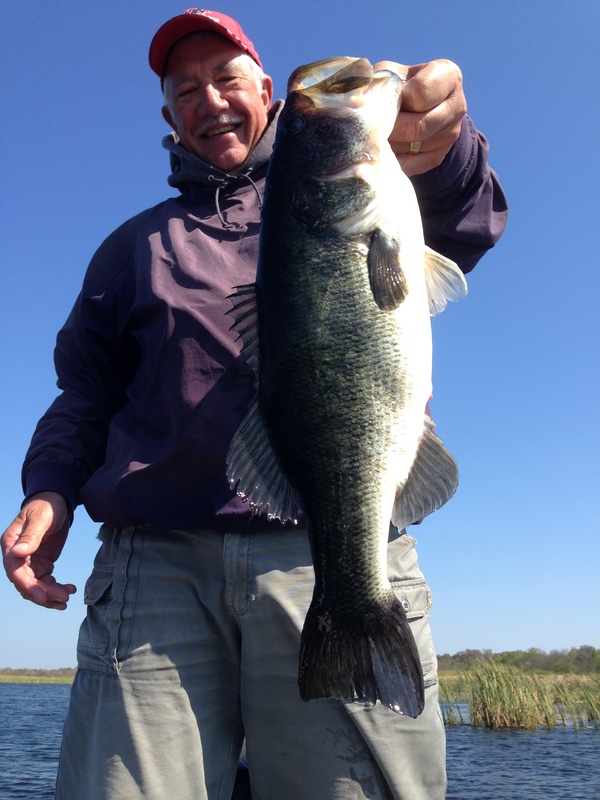 Congrats to Ed Scholl for his nice catch? And thanks Ed for having the testicular fortitude to have your picture taken…. that IS a braggin fish. 8 Boats…. 12 Anglers…. 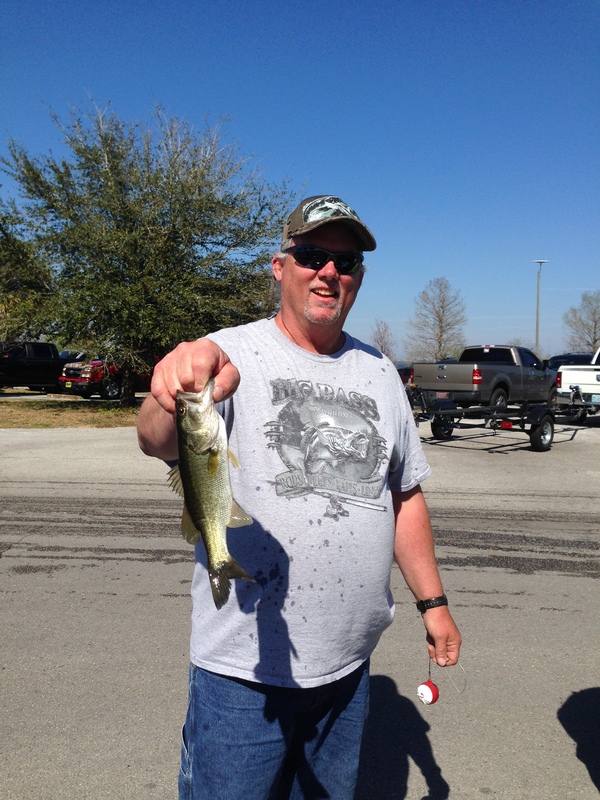 34 fish caught…. As mentioned previously – you guys & gals needed to be here earlier to reap the benefits of catching fish like Rick Cope & Marty Martinez. But guess what…. they weren’t fishing a tournament either. WTG guys especially Marty with his Trophy Catch Qualifier. In closing as good as Stan Lippian & I did on 2/12, I took a guest to the same location on 2/13 throwing an assortment of baits only to catch 6 squeakers. My guest blanked. I’ll try again tomorrow or maybe I shoulda been here 3 yesterdays ago. 1 Response to You Shoulda Been Here Yesterday or WTH Happened ? Can anyone in the club post fish? 4.8 and 4.9 Lake weir last week from my Kayak.